Superb Condition, Acura Certified, CARFAX 1-Owner, ONLY 35,861 Miles! WAS $24,889, PRICED TO MOVE $1,000 below NADA Retail!, FUEL EFFICIENT 28 MPG Hwy/19 MPG City! Heated Seats, Sunroof, Satellite Radio, MP3 Player, Alloy Wheels READ MORE!======: Check whether a vehicle is subject to open recalls for safety issues at safercar.gov ======BUY WITH CONFIDENCE: Acura Certified 7YR/100K. Superb Condition, Acura Certified, CARFAX 1-Owner, ONLY 35,861 Miles! WAS $24,889, PRICED TO MOVE $1,000 below NADA Retail! FUEL EFFICIENT 28 MPG Hwy/19 MPG City! Heated Seats, Sunroof, Satellite Radio, MP3 Player, Alloy Wheels READ MORE! Additional 1-year/12,000-mile Non-Powertrain Warranty, Balance of original 7-year/100,000-Mile Powertrain Warranty, 24-Hour Roadside Assistance, Trip-Interruption Services, 182 point inspection. CARFAX 1-Owner and Qualifies for CARFAX Buyback Guarantee. ======AFFORDABLE: This RDX is priced $1,000 below NADA Retail. ======KEY FEATURES INCLUDE: Heated Driver Seat, AWD Serviced here, Non-Smoker vehicle, Originally bought here, Excellent Used Car Inspection, New Engine Air Filter, Brake Fluid Flush, New Tires. Acura RDX with Crystal Black Pearl exterior and Ebony interior features a V6 Cylinder Engine with 279 HP at 6200 RPM*. ======EXPERTS RAVE: Ample power, strong fuel economy and outstanding rear legroom make the 2016 Acura RDX a solid choice for a premium small crossover. -Edmunds.com. Great Gas Mileage: 28 MPG Hwy. We are Minnesotas #1 Acura Certified Pre-Owned retailer! Each Acura Certified vehicle comes with a comprehensive 12-month/12,000-mile, no-deductible limited warranty over and above any new car warranties still in effect. Bloomington Acura Subaru offers competitive pricing on our New and Pre-owned vehicles. Our service and parts departments are open early, late and even on Saturdays. We also carry 40 service loaners for your convenience. Check whether a vehicle is subject to open recalls for safety issues at safercar.gov. ======: Acura Certified, ONLY 27,653 Miles! REDUCED FROM $27,989! PRICED TO MOVE $700 below NADA Retail! FUEL EFFICIENT 28 MPG Hwy/19 MPG City! Nav System, Moonroof, Heated Seats, Premium Sound System, AWD, Aluminum Wheels. CLICK ME! ======DISCOVER THE LUTHER ADVANTAGE: The Luther Advantage is a complete and comprehensive package of benefits designed to make buying-and driving-a vehicle from the Luther dealerships a pleasant and convenient experience. From the peace of mind that comes with a 5 Day-500 Mile Return or Exchange Policy, 30 Day 1,500 miles Full Warranty and 60 Day 2,500 miles Limited Powertrain Warranty and Free CARFAX Reports & Clean Title Guarantee on pre-owned vehicles, as well as providing Luther customers with full range of valuable discounts at participating Holiday Stationstores including 10 cents off a gallon, $6 for The Works car wash among other advantages and guarantees. As much as we like satisfying customers, we like keeping them even more. ======WHY BUY FROM US? : We are Minnesotas #1 Acura Certified Pre-Owned retailer! Each Acura Certified vehicle comes with a comprehensive 12-month/12,000-mile, no-deductible limited warranty over and above any new car warranties still in effect. Bloomington Acura Subaru offers competitive pricing on our New and Pre-owned vehicles. Our service and parts departments are open early, late and even on Saturdays. We also carry 40 service loaners for your convenience. ======SHOP WITH CONFIDENCE: Additional 1-year/12,000-mile Non-Powertrain Warranty, Balance of original 7-year/100,000-Mile Powertrain Warranty, 24-Hour Roadside Assistance, Trip-Interruption Services, 182 point inspection ======EXPERTS CONCLUDE: Edmunds.com explains Ample power, strong fuel economy and outstanding rear legroom make the 2016 Acura RDX a solid choice for a premium small crossover.. Check whether a vehicle is subject to open recalls for safety issues at safercar.gov. ======: White Diamond Pearl exterior and Parchment interior, Advance Pkg trim. Acura Certified, ONLY 27,251 Miles! FUEL EFFICIENT 28 MPG Hwy/19 MPG City! Nav System, Moonroof, Heated Seats, Premium Sound System, Aluminum Wheels, AWD. READ MORE! ======DISCOVER THE LUTHER ADVANTAGE: The Luther Advantage is a complete and comprehensive package of benefits designed to make buying-and driving-a vehicle from the Luther dealerships a pleasant and convenient experience. From the peace of mind that comes with a 5 Day-500 Mile Return or Exchange Policy, 30 Day 1,500 miles Full Warranty and 60 Day 2,500 miles Limited Powertrain Warranty and Free CARFAX Reports & Clean Title Guarantee on pre-owned vehicles, as well as providing Luther customers with full range of valuable discounts at participating Holiday Stationstores including 10 cents off a gallon, $6 for The Works car wash among other advantages and guarantees. As much as we like satisfying customers, we like keeping them even more. ======WHY BUY FROM US? 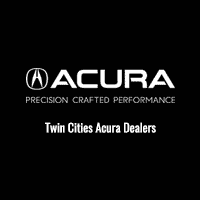 : We are Minnesota's #1 Acura Certified Pre-Owned retailer! Each Acura Certified vehicle comes with a comprehensive 12-month/12,000-mile, no-deductible limited warranty over and above any new car warranties still in effect. Bloomington Acura Subaru offers competitive pricing on our New and Pre-owned vehicles. Our service and parts departments are open early, late and even on Saturdays. We also carry 40 service loaners for your convenience. ======SHOP WITH CONFIDENCE: Additional 1-year/12,000-mile Non-Powertrain Warranty, Balance of original 7-year/100,000-Mile Powertrain Warranty, 24-Hour Roadside Assistance, Trip-Interruption Services, 182 point inspection ======EXPERTS RAVE: Edmunds.com explains Ample power, strong fuel economy and outstanding rear legroom make the 2016 Acura RDX a solid choice for a premium small crossover.. Check whether a vehicle is subject to open recalls for safety issues at safercar.gov. ======: Acura Certified, CARFAX 1-Owner, LOW MILES - 25,354! Tech Pkg trim. $700 below NADA Retail! EPA 28 MPG Hwy/19 MPG City! Navigation, Sunroof, Heated Seats, Premium Sound System, Alloy Wheels, AWD. CLICK NOW! ======DISCOVER THE LUTHER ADVANTAGE: The Luther Advantage is a complete and comprehensive package of benefits designed to make buying-and driving-a vehicle from the Luther dealerships a pleasant and convenient experience. From the peace of mind that comes with a 5 Day-500 Mile Return or Exchange Policy, 30 Day 1,500 miles Full Warranty and 60 Day 2,500 miles Limited Powertrain Warranty and Free CARFAX Reports & Clean Title Guarantee on pre-owned vehicles, as well as providing Luther customers with full range of valuable discounts at participating Holiday Stationstores including 10 cents off a gallon, $6 for The Works car wash among other advantages and guarantees. As much as we like satisfying customers, we like keeping them even more. ======WHY BUY FROM US? : We are Minnesotas #1 Acura Certified Pre-Owned retailer! Each Acura Certified vehicle comes with a comprehensive 12-month/12,000-mile, no-deductible limited warranty over and above any new car warranties still in effect. Bloomington Acura Subaru offers competitive pricing on our New and Pre-owned vehicles. Our service and parts departments are open early, late and even on Saturdays. We also carry 40 service loaners for your convenience. ======BUY WITH CONFIDENCE: Additional 1-year/12,000-mile Non-Powertrain Warranty, Balance of original 7-year/100,000-Mile Powertrain Warranty, 24-Hour Roadside Assistance, Trip-Interruption Services, 182 point inspection ======EXPERTS ARE SAYING: Edmunds.com's review says Ample power, strong fuel economy and outstanding rear legroom make the 2016 Acura RDX a solid choice for a premium small crossover.. Check whether a vehicle is subject to open recalls for safety issues at safercar.gov. ======: Acura Certified, CARFAX 1-Owner, GREAT MILES 16,352! FUEL EFFICIENT 29 MPG Hwy/20 MPG City! PRICED TO MOVE $1,200 below NADA Retail! w/A-SPEC Pkg Red Leather trim. Navigation, Sunroof, Heated Leather Seats, AWD, Alloy Wheels AND MORE! ======DISCOVER THE LUTHER ADVANTAGE: The Luther Advantage is a complete and comprehensive package of benefits designed to make buying-and driving-a vehicle from the Luther dealerships a pleasant and convenient experience. From the peace of mind that comes with a 5 Day-500 Mile Return or Exchange Policy, 30 Day 1,000 miles Full Warranty and 60 Day 2,500 miles Limited Powertrain Warranty and Free CARFAX Reports & Clean Title Guarantee on pre-owned vehicles, as well as providing Luther customers with full range of valuable discounts at participating Holiday Stationstores including 10 cents off a gallon, $6 for The Works car wash among other advantages and guarantees. As much as we like satisfying customers, we like keeping them even more. ======WHY BUY FROM US? : We are Minnesotas #1 Acura Certified Pre-Owned retailer! Each Acura Certified vehicle comes with a comprehensive 12-month/12,000-mile, no-deductible limited warranty over and above any new car warranties still in effect. Bloomington Acura Subaru offers competitive pricing on our New and Pre-owned vehicles. Our service and parts departments are open early, late and even on Saturdays. We also carry 40 service loaners for your convenience. ======SHOP WITH CONFIDENCE: Additional 1-year/12,000-mile Non-Powertrain Warranty, Balance of original 7-year/100,000-Mile Powertrain Warranty, 24-Hour Roadside Assistance, Trip-Interruption Services, 182 point inspection ======EXPERTS ARE SAYING: KBB.com's review says The new TLX is one of the smartest investments in the segment, thanks to its mix of performance Check whether a vehicle is subject to open recalls for safety issues at safercar.gov. ======: CARFAX 1-Owner, Acura Certified, LOW MILES - 29,388! Crystal Black Pearl exterior and Espresso interior, V6 Tech trim. EPA 34 MPG Hwy/21 MPG City! Navigation, Moonroof, Heated Leather Seats, Aluminum Wheels, Premium Sound System CLICK ME! ======DISCOVER THE LUTHER ADVANTAGE: The Luther Advantage is a complete and comprehensive package of benefits designed to make buying-and driving-a vehicle from the Luther dealerships a pleasant and convenient experience. From the peace of mind that comes with a 5 Day-500 Mile Return or Exchange Policy, 30 Day 1,500 miles Full Warranty and 60 Day 2,500 miles Limited Powertrain Warranty and Free CARFAX Reports & Clean Title Guarantee on pre-owned vehicles, as well as providing Luther customers with full range of valuable discounts at participating Holiday Stationstores including 10 cents off a gallon, $6 for The Works car wash among other advantages and guarantees. As much as we like satisfying customers, we like keeping them even more. ======WHY BUY FROM US? : We are Minnesotas #1 Acura Certified Pre-Owned retailer! Each Acura Certified vehicle comes with a comprehensive 12-month/12,000-mile, no-deductible limited warranty over and above any new car warranties still in effect. Bloomington Acura Subaru offers competitive pricing on our New and Pre-owned vehicles. Our service and parts departments are open early, late and even on Saturdays. We also carry 40 service loaners for your convenience. ======PURCHASE WITH CONFIDENCE: Additional 1-year/12,000-mile Non-Powertrain Warranty, Balance of original 7-year/100,000-Mile Powertrain Warranty, 24-Hour Roadside Assistance, Trip-Interruption Services, 182 point inspection ======VEHICLE REVIEWS: Edmunds.com explains Whichever engine you choose Check whether a vehicle is subject to open recalls for safety issues at safercar.gov.